Scott Cessar works with clients in developing creative contract delivery systems intended to mitigate risk and maximize success, in resolving arising problems with unique solutions and, if needed, expeditiously and cost effectively advocating for clients in all types of dispute forums, including mediation, arbitration, and the courts. Scott’s practice has a strong emphasis on the construction industry. He handles all types of construction related issues on behalf of owners, contractors, equipment suppliers, and sureties, ranging from delay, impact, loss of productivity, defective work, and differing site conditions to architectural and engineering omissions, bid and procurement challenges, and overcharges. He also works with a wide range of construction project delivery systems such as design build, EPC, fast track, turnkey, joint venture, and teaming arrangements. As a result of his experience in counseling on United States Army Corps of Engineers’ projects and with other federal contractors, Scott is especially knowledgeable in the Federal Acquisition Regulations (FARs). Through his work on international projects, he is also well-versed in International Federation of Consulting Engineers (FIDIC) contract documents. Another prominent aspect of Scott’s practice is complex commercial matters in a variety of sectors, including commercial banking, metals, franchising, and real estate. Scott has tried numerous cases to award in arbitration or verdict in court. As a result, he has a distinctive perspective in representing clients and knowing what works, and his contemporaries regularly call upon him to serve as an arbitrator and as a mediator to help resolve significant disputes. Representation of international foundations contractor in negotiations in Iraq with the Iraqi government for the multi-billion dollar repair of the Mosul Dam. Representation of owner in 17-day arbitration involving multi-million dollar claims, including defective work, overcharge, overpayment and copyright claims, arising out of a design-build contract for the construction of a $22 million project. Representation of scaffold supplier in a five day jury trial involving a fatality and resulting in a defense verdict and subsequent recovery of fees and costs from co-defendant under indemnity clause. Representation of oil and gas subcontractor in prosecution of mechanic’s lien and oil and gas lien claims, involving successful defense of appeal to the Wyoming Supreme Court, resulting in recovery, with interest, of over $6.5 million for subcontractor on original lien claims of $4.8 million. Representation of equipment supplier in successfully making new law in Michigan on damages in construction cases and in subsequent five day arbitration resulting in $1.889 million award to client. Representation of subcontractor in successful trial of pass-thru claim before the United States Board of Civilian Contract Appeals resulting in award of $1.2 million, including recovery of 100% on its +$900,000 loss of productivity claim. Representation of major financial institution in obtaining summary judgment dismissal of all claims against it in a case that subsequently resulted in a $32 million judgment against remaining defendant. Representation of an equipment supplier in obtaining a dismissal of a claim in excess of $3 million based on the statute of limitations. Representation of surety in convincing federal court in West Virginia to predict that state’s highest court would allow cause of actions in tort by a surety against a consulting engineer for certifying overpayments to defaulted contractor on a water project bonded by surety. Represented contractor in successful resolution of $40 million request for equitable adjustment to U.S. Army Corps of Engineers. Representation of national alarm services provider in obtaining pretrial dismissal of over $100 million in claims arising out of one of the largest fires in Pennsylvania history. Representation of major league baseball team, the Florida Marlins, in two four-day arbitrations involving issues of compensation to displaced minor league franchises in south Florida arising out of the taking of their territories. Representation of environmental controls manufacturer in successful defense of injunction request and claim for damages by terminated distributor that sought to establish franchisor-franchisee relationship. Representation of turbine supplier in design and negotiation of water-to-wire contract package with general contractor and owner for construction of hydroelectric power plant. Representation of Eastern European interests in the purchase out of bankruptcy of continuous caster, related equipment and 400 acre steel mill site. Representation of gantry crane supplier in recovery of over $900,000 in assessed liquidated damages. Representation of steel mill owner and agent in obtaining successful dismissal of over $6 million in claims arising out of wrongful scrapping of reheat furnaces owned by third party. Representation of metal alloys producer in successful resolution of multi-million dollar claims arising from sale of allegedly contaminated metal which was subsequently used to make jet engine parts. Representation of dismantling contractor in two thirty-day arbitrations and one seven-day jury trial against steel producer involving dismantling contracts at various facilities across the country. Representation of a mobile lithotripter service in a four-day arbitration against an ambulatory care center in a dispute involving a “take or pay” contract resulting in a $1.88 million award to the service. In 2005, Scott organized the Foundation for the Lupus Center of Excellence at the West Penn Allegheny Health Center. He served as President of the Foundation until 2015 when it was merged into The Foundation for the Autoimmunity Institute for which he now serves as Vice President. Pine Township Zoning Hearing Board, Chair. “The Availability of Contractual Defenses to Sureties in Miller Act Payment Bond Claims”	, Construction Executive Magazine, October 4, 2018. “Claim Waivers: A Must Read for All Contractors Involved With Payment Applications or Change Orders”	, Construction Executive Magazine, April 2018. “Implied Warranties as to the Plans and Specs on a CM at-Risk Project”	, Breaking Ground Magazine, July/August 2016. “Good Faith and Fair Dealing Upheld in Federal Construction Contracts”	, Construction Executive Magazine and Allegheny County Bar Association’s Construction Law Section Newsletter, March 2015 and Winter 2015, respectively. “The Perils of Voir Dire”	, The Pennsylvania Lawyer, January/February 2015. “Demand for Claim Waiver in Exchange for Final Payment”	, Lawyers Journal, September 2013. “The Use of Pre-Project Agreements: “The Ties that Bind,” or Perhaps Do Not”	, The Real Estate Finance Journal, Vol, 27, Fall 2011. “Dispute resolution clauses: Do some A/Es put their interests over their client’s interests?” Eckert Seamans’ Construction Law Update, Spring 2019. “Pay if paid clauses and the prevention doctrine,” Eckert Seamans’ Construction Law Update, Fall 2018. “Dispute Resolution of Performance Bond Claims,” Construction Executive Magazine, August 2018. “The availability of contractual defenses to sureties in Miller Act payment bond claims,” Eckert Seamans’ Construction Law Update, Spring 2018. “Claim Waivers: A must-read article for all contractor personnel involved with payment applications or change orders,” Eckert Seamans’ Construction Law Update, Fall 2017. “Avoid Disputes From Incorporation by Reference Clauses in Surety Bonds,” Construction Executive Magazine’s Managing Your Business newsletter, October 2017. “Incorporation by reference clauses in surety bonds: A sometimes problematic interaction,” Eckert Seamans’ Construction Law Update, Spring 2017. “Tips for owners in negotiating contracts with architects,” Eckert Seamans’ Construction Law Update, Fall 2016. “Implied warranties as to the plans and specs on a CM at-Risk project,” Breaking Ground Magazine, July/August 2016 and Eckert Seamans’ Construction Law Update, Spring 2016. “Negotiate Purchase Orders to Avoid Legal Disputes,” Construction Executive Magazine’s Managing Your Business newsletter, March 2016. “Purchase Orders and the ‘Battle of the Forms,’” Eckert Seamans’ Construction Law Update, Fall 2015. 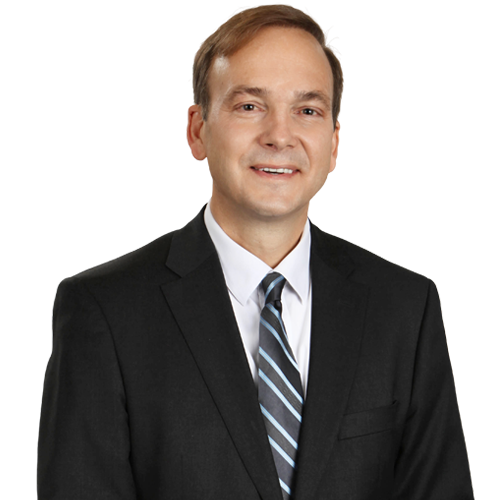 “The active interference exception to no damage for delay clauses,” Eckert Seamans’ Construction Law Update, Spring 2015. “Good faith and fair dealing upheld in federal construction contracts,” Eckert Seamans’ Construction Law Update, Fall 2014. “Pennsylvania Supreme Court Limits Who May File a Mechanics’ Lien,” Mid-Atlantic Real Estate Journal, May 2014. “Variance and equitable adjustment contractual clause does not insulate the government from liability for negligent estimates,” Eckert Seamans’ Construction Law Update, Spring 2014. “Good faith and fair dealing in federal procurement contracts: Which way will it go?” Eckert Seamans’ Construction Law Update, Fall 2013; Eckert Seamans’ Legal Update, March 2014. “Controlling Electronic Discovery Costs: Cutting ‘Big Data’ Down to Size,” co-author, Breaking Ground Magazine, March/April 2013. “Damages, Remedies, and Alternative Dispute Resolution Under Pennsylvania Law,” co-author of book chapter, Pennsylvania Construction Law: Project Delivery Methods, Execution, and Completion, published by The Pennsylvania Bar Institute, January 2013. “Lawsuits arising from claim letters to the surety — A heavy burden to meet,” Eckert Seamans’ Construction Law Update, Fall 2012. “A primer on statutes of limitations, statutes of repose and limitations of actions,” Eckert Seamans’ Construction Law Update, Fall 2012. “Notice requirements for construction claims: How to avoid sleepless nights,” Eckert Seamans’ Construction Law Update, Spring 2012. “Originality is key in copyright infringement,” co-author, Eckert Seamans’ Construction Law Update, Spring 2012. “Overview of indemnity clauses,” Eckert Seamans’ Construction Law Update, Fall 2011. “Payment bond pitfalls,” “The life of a Performance Bond – perhaps longer than you think,” Eckert Seamans’ Construction Law Update, Fall 2010. “The tension between the venue selection provisions of state Prompt Payment Acts and the Federal Arbitration Act,” Eckert Seamans’ Construction Law Update, Fall 2010. “Termination for convenience clauses: An inconvenient truth,” Breaking Ground Magazine, July 2010. “Comparing key contract terms in American as opposed to European form construction contracts,” Eckert Seamans’ Construction Law Update, Fall 2009. “Avoiding Disputes Over Price Fluctuations,” co-author, Legal Intelligencer, August 2009. “A Saner Approach to Price Fluctuations,” Breaking Ground Magazine, January 2009. “Design specifications, performance specifications and the significance of the ‘approved equal’” Eckert Seamans’ Construction Law Update, Fall 2008. “Practice Pointers on Construction Bonds,” co-author, Construction Law Magazine, August 2008. “Design and Performance Specifications and the ‘Approved Equal’,” Construction Executive Magazine, July 2008. “Construction Bonds: Common mistakes and misconceptions,” Eckert Seamans’ Construction Law Update, Winter 2008. “A Primer on Alternative Dispute Resolution,” GC Mid Atlantic, July 2007. “A Primer on the Basics of Construction Law,” a chapter appearing in Legal Strategies for the Construction Industry, Aspatore Books, 2006. “Tips for Trying Construction Cases in Arbitration and in Court,” presenter, Allegheny County Bar Association CLE, December 2018. “Damages, Remedies, Disputes, Avoidance & ADR,” co-presenter, PBI Construction Law CLE, October 2016. “Ethics of a Construction Claim,” presenter, Allegheny County Bar Association CLE, December 2013. “Construction Law: Damages, Remedies and ADR in Pennsylvania,” Pennsylvania Bar Institute CLE, June 2013. “Insights into Construction Arbitration Preparation and Presentation,” co-presenter, Allegheny County Bar Association, 2013. “Differences between the EJCD, AIA and Consensus Docs as to Damages,” ABA Forum on the Construction Industry CLE, 2012. “Alternative Dispute Resolution,” co-presenter, Eckert Seamans’ CLE, August 2011. “A Comparison of the FIDIC Terms and the AIA Terms,” ACBA CLE, 2009. “Cost Escalation Clauses in Construction Contracts,” co-presenter, ACBA CLE,. 2009. “A Primer on Copyright Law for Construction Professionals,” co-presenter, ACBA CLE, 2007. “Training for Construction Arbitrators,” co-presenter, ACBA, 2007. “Third Party Claims against Design Professionals in the Wake of Bilt-Rite,” ACBA CLE, 2006. “Third-Party Claims Against Construction Professionals: Where We Were, Where We Are, Where Others Are, and What is Going On in the Wake of Bilt Rite Contractors, Inc. v. The Architectural Studio,” CLE, April 2006.